This cake pop maker is perfect for baking gorgeous cake pops for a sweet treat, party or dessert. The bundle comes with a 2 pronged fork, 50 cake pop sticks and a cooling tray, while the power on and ready lights make it incredibly easy to use and the cool touch handles provide safety. 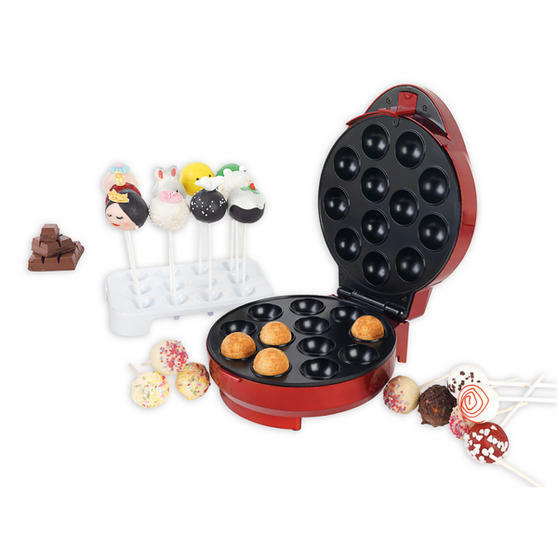 The cake pop maker has top and bottom cooking plates for an even bake, and because they are non-stick the cake pops will easily be released once cooked. 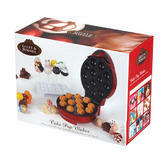 For great fun, just bake, decorate, share and enjoy.